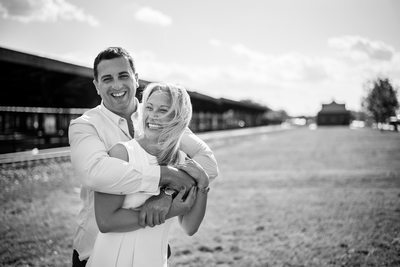 I am a Philadelphia Wedding Photographer who photographs engagement sessions anywhere in the country, mostly including engagement sessions in Philadelphia, Bucks County, New Jersey, and Manhattan. I absolutely love documenting newlyweds because it gives me a chance to get to know them before their wedding day. 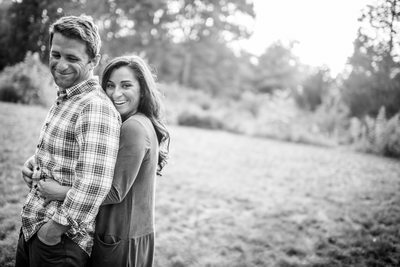 There are so many places to have an amazing engagement session between Philadelphia, New York, New Jersey, and Bucks County. When we chat about locations, I can pretty much go anywhere, wether it be a place that means something special to you and your loved one. Or we can just pick a really nice location that you've never been too. 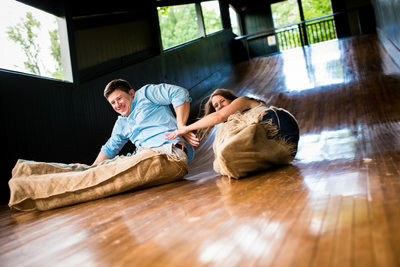 The whole purpose of the Engagement Session is to get to know eachother. 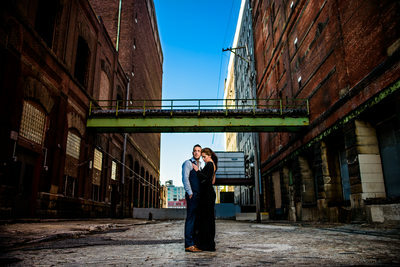 In this gallery you will see engagement sessions range from locations like New York City, to Maryland. 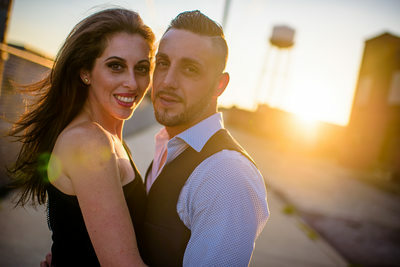 From LBI beaches to doing a tour at a Flying Dog Brewery in Maryland I include such a large variety of locations and places to help you try and visualize a location for your engagement photoshoot! Philadelphia alone has such a wide variety of locations to photograph in. Sometimes couples who are having a Philadelphia Wedding may not have the time in their timeline to go to a specific location. When that is th case we can always do your engagement session in that spot. This way we have the best of both worlds! 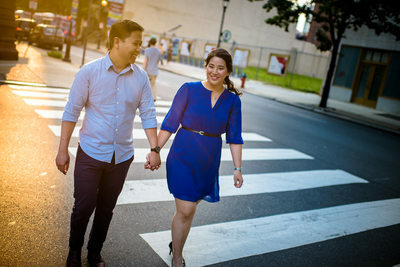 Rittenhouse Square engagement sessions are really fun. You will see a few in this gallery! The best times to go to this location is either really early in the morning or later in the afternoon to avoid a lot of foot traffic. 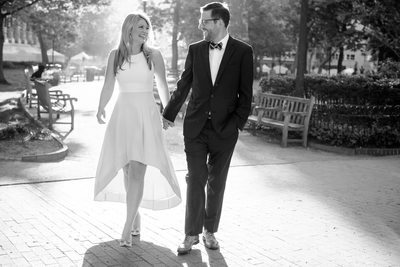 There is beautiful light that showers this park during those times of day and it makes a wonderful setting for your engagement session. 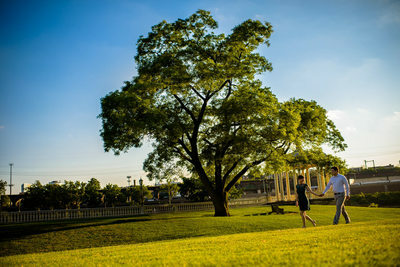 Parks in Philadelphia area that are also similar to this would be Shofuso, Washington Square Park, Fairmount Park Horticultural Center, the grounds at Water Works by Cescaphe, and even Smith Memorial Playground, YES there is an amazingly HUGE playground in Philadelphia! 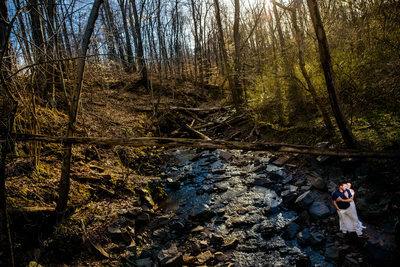 Outside of Philadelphia there is Longwood Gardens, Ridely Creek Park Mansion, Tyler State Park, and Bowman's Hill Wildflower Preserve. If you still have an interest in Philadelphia but aren't looking to go to the parks, there are still a ton of other options. Hitting some of the more popular places would be The Art Museum. If you aren't familiar with this location, just watch the movie Rocky...I promise you'll recognize it! There is also the newly redesigned LOVE Park, City Hall Dilworth Park, Elfreths Alley, Race Street Pier, Spruce Street Harbor Park, Rodin Museum, the location possibilities are endless, and they don't just stop there! New Jersey has some amazing locations for engagement sessions as well. You'll see in my engagement session gallery images from Grounds for Sculpture, Sayen Gardens, LBI, Princeton University, and Liberty State Park. No matter the location, wether you prefer New Jersey Engagement Pictures, Philadelphia Engagement Pictures, New York Engagement Pictures, or Destination Engagement Pictures, I'd love to follow you on your Engagement Session Adventure. If you'd like to learn more about our Engagement Session details head on over to our contact page!